The New Year is here! For us, this is always a time of reflection on the past year, goal setting for the new year, and optimism for the future. While economic indicators continue to be positive, it is up to each of us to determine our own success, regardless of the environment. We would like to thank everyone who has helped us build our business, remain positive, and thrive in our personal lives. We look forward to another great year and remain committed to making quality connections and actively engaging in our local and industry communities. Last year, in addition to serving our Technology and Industrial clients, we started our Active, Healthy & Sustainable Living practice, which Fleming is leading. We are committed to helping our clients build the right teams to lead the way toward a more healthy and sustainable lifestyle. We trust that you have ambitious goals for 2014, and we look forward to sharing the journey with you. Are You Hiring the Wrong Person? – Don Moore at the Haas School of Business at Berkeley shares why context is critical when looking at past performance. Is Your Posture Hurting Your Career? – New research shows that “power poses” are linked to better performance and more confident, assertive behavior. one thing in common: A Focus on Talent. 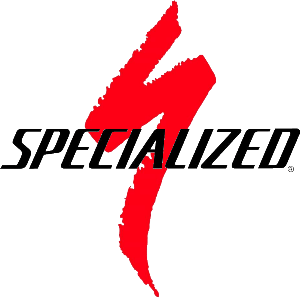 I Am Specialized. It’s the phrase echoed by every member of the Specialized team, from founder & CEO Mike Sinyard, to the design engineers, to the sales reps, to their loyal riders. They love bikes, and everything associated with cycling. With their top-of-the-line road and mountain bikes winning numerous world championships, their new Electric Bikes encouraging environmentally friendly commuting, and the First Gear initiative to get more kids riding bikes, Specialized leads more than the peloton – it leads the industry. We are honored to have them as a client. On November 15th, at the 2013 Haas Gala in San Francisco, in front of over 700 distinguished guests, Marty McMahon was honored with the Raymond E. Miles Service award for his years of service to the Haas School of Business. Marty chaired the Haas Development Council for the past two years and helped raise a record amount of financial support for the school. Marty recently ended his tenure as a member of the Haas School Board and continues to serve on the board of the UC Berkeley Center for Executive Education. In November, we co-hosted two outstanding Executive Leader Dinners. In San Francisco, Marty hosted over 20 HR leaders from some of the leading Bay Area companies, where they heard from China Gorman, CEO of Great Places to Work. China led an engaging discussion on the value of investing in creating a work environment that your work force loves. In Los Angeles, Fleming hosted 25 CFOs to a dinner and discussion led by Ira Kalish, Chief Global Economist for Deloitte, who shared his perspective on the national and global economy.